1. Unzip wpl_houzez.zip (attached below) on your computer. 2. Connect to your website by FTP (File Manager). “wp-content/themes/houzez/wplhtml” or “wp-content/themes/houzez-child/wplhtml” (if you are using child theme). 4. Activate the compatibility views in the WPL menu->Settings->Theme Compatibility. 5. For the Property listing page use the Visual Composer Page Template. - Go to Appearance->Widgets and create WPL Carousel widget with List layout in Property Listings widget area. - Then remove "Houzez Properties: Latest Properties" widget from Property Listings widget Area. For creating property details page with layout Default (example) , make sure that you activated Default layout in the WPL menu->Settings->UI Customizer->Property Details Layout. with Multi-images Layout for Featured Properties, with List Layout for Recently Viewed and Similar Properties. 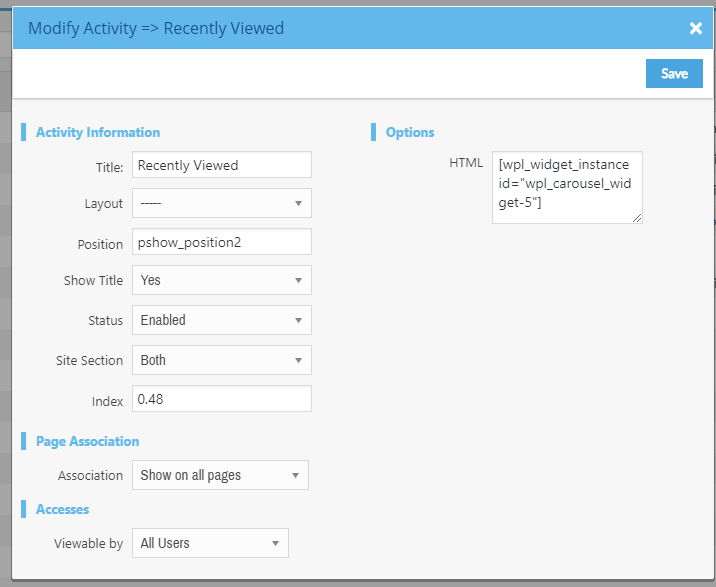 Then create activity with html type for each widget in the WPL menu->Activity Manager. Put the widget shortcode in the textarea and change the position to pshow_position2 for For Featured/Recently Viewed and pshow_position3 for Similar Properties activities. Note: The widget shortcode feature available only in Pro version of the WPL. You can find information about widget areas and activity positions here. 7. The search widget in header. 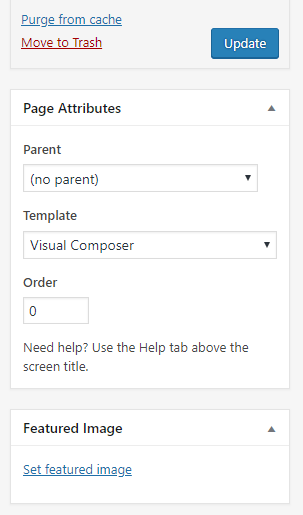 Go to the WP admin panel->Appearance->Widgets and create a new WPL Search widget in Footer Area 1. And give it a class “wpl-search-header”. Add search fields by click on View fields button. Please note, don’t add more than 5 fields above “more options” separator. 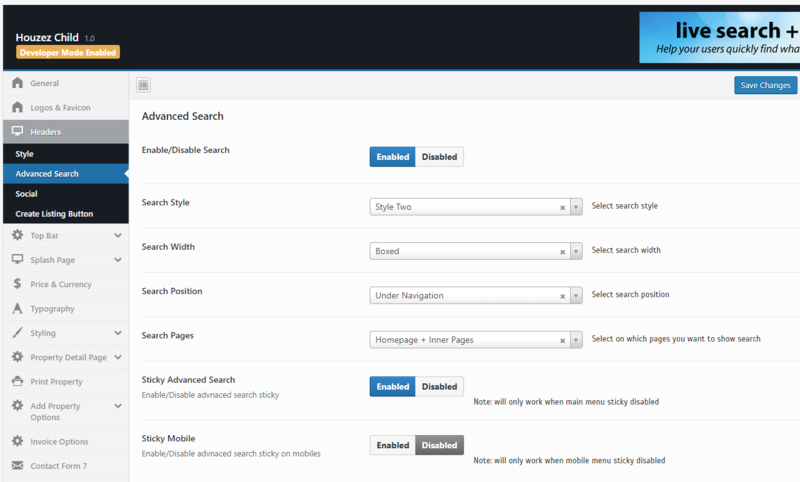 Then go to the Theme Options->Headers->Advanced Search and make it Enabled. 8. The search widget on the banner. Create a new WPL Search widget in WPL Hidden widget area. 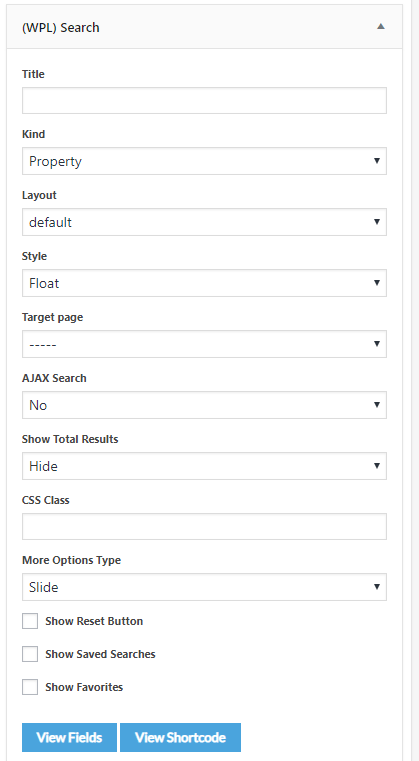 Then chose Style “Float” in the WPL Search widget options, click on the view shortcode button and copy text somewhere. After that, go to Pages->"Home page with image" (or create a new page)->Edit page. 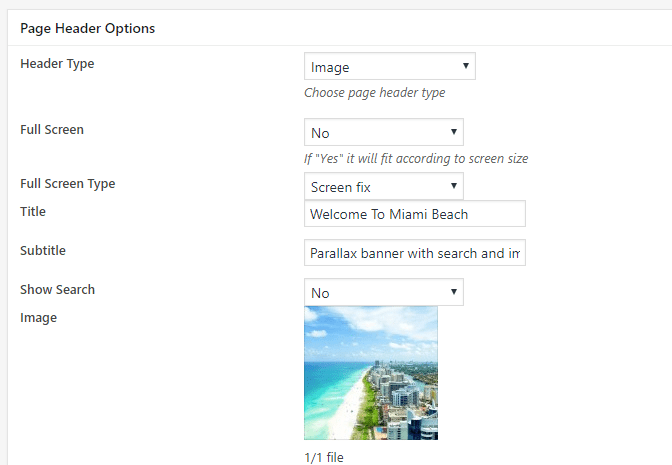 Make sure that WPBakery page builder and Backend Editor mode are activated. 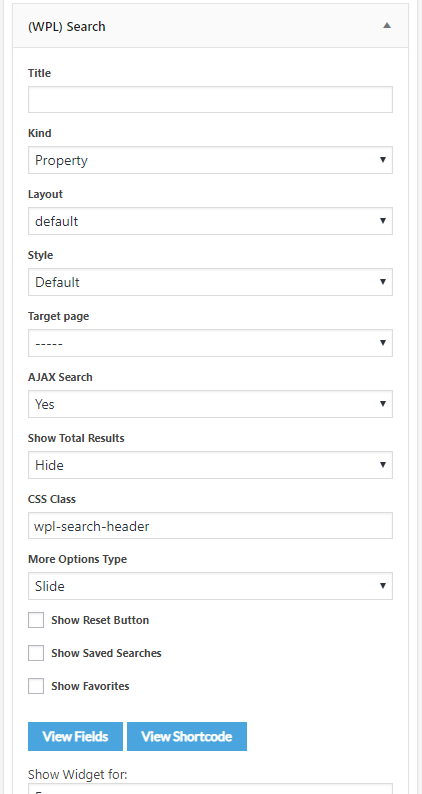 Create a new row with WPL Search Widget element and find your widget with the same ID like in the shortcode. Put this row at the very top of the container. Finally, below the page builder, in the Page Header Options, set Show Search to “No”. 9. Latest For Sale/Latest For Rent widgets. - Create WPL Carousel widget with Multi-images layout in the WPL Hidden widget area. - Click on View shortcode button and save widget's ID somewhere. - Then go to the Pages->Edit page and find the Row Properties Carousel V1. - Remove this element and add WPL Carousel Widget element with ID of the widget that you just created.